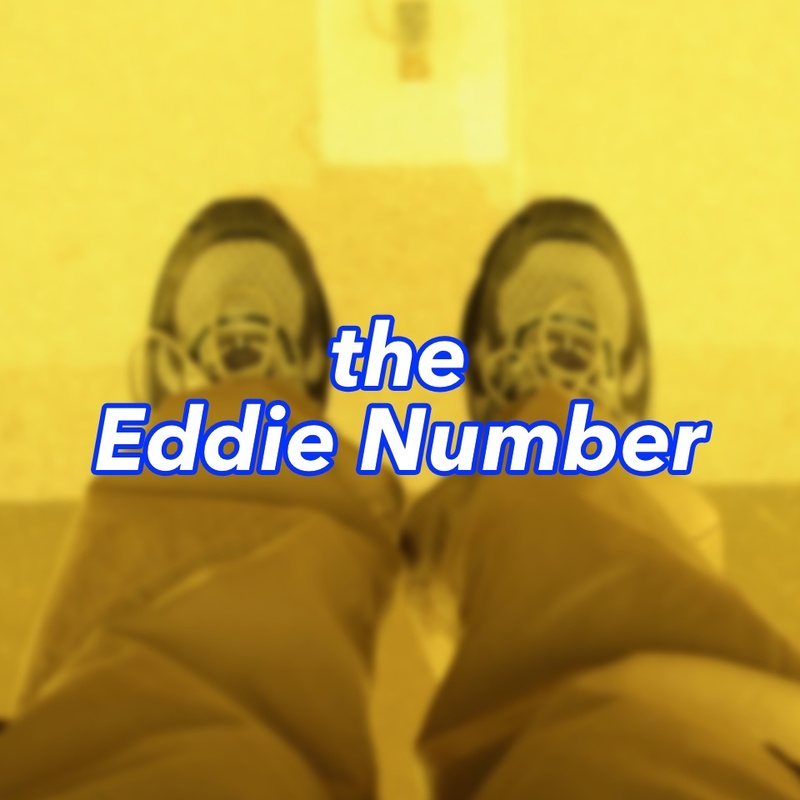 In which we introduce The Eddie Number, a measurement of economic activity in a downtown. The Eddie Number is a measurement of economic sprawl based on where large corporations set up shop in a city or metropolitan area. 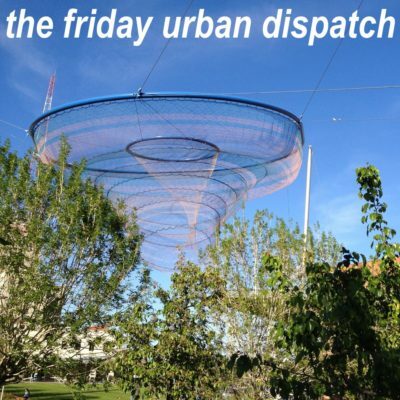 This will be used in tomorrow’s edition of The Friday Five / The Friday Urban Dispatch and it seems appropriate to introduce it here first. An Eddie Number will always be negative (you can’t have more downtown-based corporate headquarters than companies based in an entire metropolitan region) and an Eddie Number closer to 0 is better because it means there is more economic activity happening in that city’s downtown. Oh, and about the name: If you want a statistic named after yourself, then come up with your own statistic. The regular Friday Urban Dispatch from downtown Phoenix for March 14: a unique boots-on-the-ground perspective of what’s happening. Meeting new voices. This has been a great week for meeting new voices that have an honest interest in making our downtown community better. I realize that I’m coming at the downtown question from an academic / intellectual perspective (I mean…my undergraduate degree is Urban and Metropolitan Studies!) but I’m starting to find these new voices that are approaching the downtown question from the same angle. City Hall is starting to get the urban condition. It’s not perfect but I am getting the sense that City Hall is starting to get the notion that the downtown / urban condition is different and has a different lexicon, vocabulary, and design imperatives than suburban Phoenix. It’s not perfect yet but the right baby steps are being made. More promising, however, is that City staff are wanting to listen to downtown interests to make sure that everyone is on the same page. Whither McDowell Road. While the previous point is a plus, there are still silos within City Hall that need to be broken down and addressed. The City’s definition of “downtown Phoenix” goes to the south right-of-way of McDowell Road while their definition of “midtown Phoenix” begins at the north right-of-way of McDowell. Left out of the discussion is McDowell Road itself, a core east-west street in central Phoenix. Right now, it’s a nightmare to travel at any time of day. At 3:00pm on weekdays during the school year, the mass pick-up of students from Arizona School for the Arts makes Manhattan traffic look like a small town. (The City needs to work with the school to work on a traffic management plan…or the same school needs to encourage its students to take public transportation!) I like the streetcar line proposed for McDowell Road but that’s a long-term aspiration. A city in potentia. Last Friday night, I was walking around downtown to see and hear the goings-on of the Viva Phoenix music festival. In addition to the musicians performing on their outdoor stages, there was a definite energy downtown: there were people, there was noise, there were even random marching bands walking around. I’m loathe to use phrases like “seminal moment” or “turning point” but I think March 7 will be looked on in years hence as a turning-point for downtown. 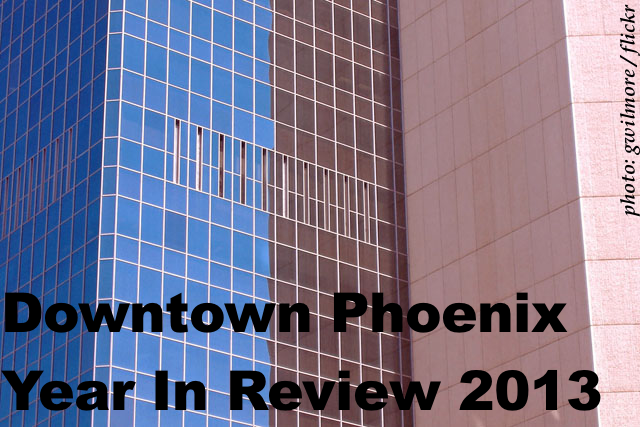 In this finale of four posts, I end on a positive note: looking at downtown Phoenix’s opportunities as 2013 ends and the New Year 2014 approaches. In these past couple weeks, I’ve been thinking about the things that have happened in 2013 in downtown Phoenix and how they shape its present as well as the next year in our community. Re-read my observations on downtown’s strengths, weaknesses, and threats first before reading this finale post. 1. 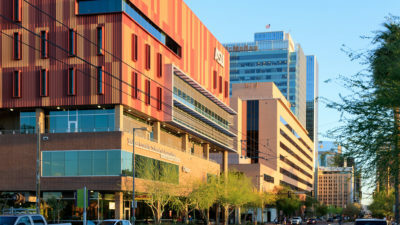 Arizona Center for Law and Society — As part of the growth of ASU’s Downtown Phoenix campus, ASU administration is planning to move their Sandra Day O’Connor College of Law to downtown Phoenix in a new building, the Arizona Center for Law and Society. 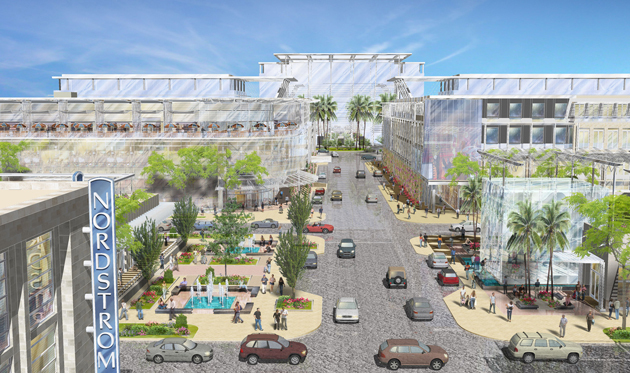 The building will be a great asset to the growing University District in downtown Phoenix. While many people bemoan the design of the building including its placement of an alumni-run law firm on the 1st Street sidewalk-level elevation, my chief concern is about how public the building will remain given ASU central administration’s desire to clamp down on access to their buildings, especially downtown. Let’s get this building built before somebody changes their mind. 2. 1st Street Redesign — It is nice that the City is starting to think creatively about what to do with downtown streets. The redesign of 1st Street from Washington to Hance Park is certainly eye-opening and also includes Phoenix’s first parklet (miniature park) near Garfield Street, outside Matt’s Big Breakfast. The narrowing of one of downtown’s widest streets has made it possible for more non-automobile users to take advantage of that street but the stock of buildings and their non-engagement to the 1st Street streetscape makes it curious why that street was chosen as a demonstration project. Still, though, progress is progress and it’s good that the City is looking at streets in a different light. 3. Rising Interest in Bicycling in Urban Phoenix — As 2013 closes, we are inching closer to becoming a good place to bicycle. The City’s Street Transportation recently seated a twelve-member Bicycling & Pedestrian Ad Hoc Task Force (of which I am a member), of which one of its charges is to at the City’s new bicycling master plan in parallel with two national engineering firms specializing in bicycling infrastructure. In addition, bicycle share is coming to central Phoenix in 2014. While I believe that downtown’s adequate bicycle infrastructure should have been installed before bicycle share, I hope that this new citywide look at bicycling will usher in the much-needed improvements to downtown’s bicycling infrastructure. 4. New City Council Representatives for Districts 4 and 8 — Two of Phoenix’s council districts containing urban Phoenix will have new representation in January: Laura Pastor in District 4 (Midtown, Maryvale) and Kate Gallego in District 8 (Downtown East, Sky Harbor, South Phoenix). I had the great opportunity to interview both of these women and so I am hopeful for what they will seek to accomplish in their first term. Both Districts 4 and 8 contain neighborhoods that are truly coming into their own identities and I would hope that the new councilwomen can find the best way to work with the neighborhoods and celebrate the progress that has happened. 5. Setting the Stage for the 2015 Super Bowl — In February 2015, the world will descend to metropolitan Phoenix for the 49th annual playing of the NFL’s championship game. 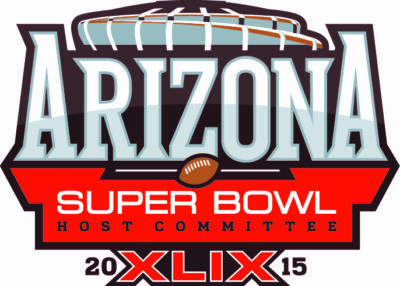 It’s a foregone conclusion that the game will be in Glendale at the University of Phoenix Stadium. But it is supposed to be announced that the NFL’s major events will take place in downtown Phoenix and all that is happening here will be on the national and international stage. This is a major opportunity for everyone here to put their best foot forward and I think everyone understands the stakes that are at hand. I would hope that we look to tell downtown Phoenix’s story as this: urban living is celebrated here.